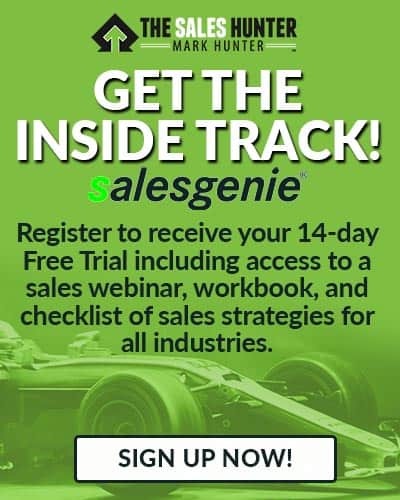 Sales Training System: Do You Have One? Do you have a sales training system you believe in? It never ceases to amaze me how few salespeople have a personal sales training system. For some reason, they either believe sales training is the responsibility of the company they work for or they’re so good they don’t need it. Having a personal sales training system is as important as taking the time to exercise. If a person is going to take the time to exercise their physical body, then they should also be willing to take the time to exercise their sales body. 1. Look to learn something new each day from one of your customers. Salespeople who have a desire to grow and improve will always find things they can learn. The best teachers are our customers. Use them as a way to find out new information you can use now and as a sounding board as to the effectiveness of your sales process. 2. Always be improving your sales prospecting and sales closing processes. These are the two most critical areas of the sales process. The vast majority of salespeople never look to change either of these and it is a key reason why I believe salespeople have slumps. Top salespeople have a wide number of sales prospecting and sales closing methods they feel comfortable in using. 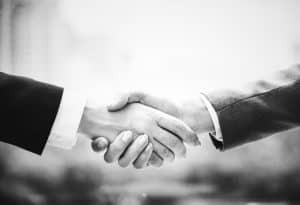 By having a wide variety, it gives them the greatest amount of flexibility in being able to deal with whatever type of sales situation they may find themselves in. 3. Take notes on every sales call to help benchmark your areas of strength and weakness. Many times a salesperson does not improve or fail over night, rather either or both of these occur over a period of time. The only way to spot these early is by benchmarking what you do. 4. Have a sales mentor or sales peer with whom you can talk and/or meet on a regular basis to exchange ideas. I feel this is vitally important, as it will provide you with someone who can provide you with feedback and input. Don’t select a person who isn’t willing to hold you accountable and is positive themselves about sales. 5. Read one sales book each month. I’m not going to recommend what books on sales to read. 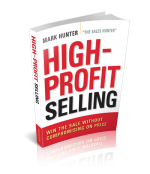 Sure I’d love it if you read mine, “High-Profit Selling: Win the Sale Without Compromising on Price,” but that’s not the point of why I’m writing this. Anyone who wants to be good at something needs to be willing to study their craft. One way to do this is by reading books on sales. If you were looking for a silver-bullet, sorry. 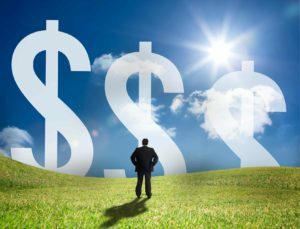 However, if you want to become more pro-active in how you view sales, then I’m betting you read this and saw between 1 and 5 things you are going to start doing. Remember one thing — it’s not what you think about doing that counts. It’s what you actually do that counts.